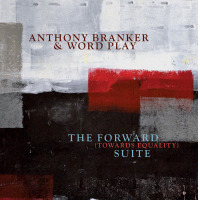 On Uppity, Dr. Anthony Branker, Director of Jazz Studies at Princeton University, has created a life-affirming, sometimes funky, and straight-through beautiful set of soundsan ode to the resiliency and basic goodness of the human spirit. Branker began his jazz journey as a trumpeter, but complications from a brain aneurysm in 1999 brought his trumpet playing days to an end. He is now the composer and musical director of his Ascent and Word Play modern jazz ensembles. Uppity opens with a funky, street-wise vibe, on "Let's Conversate!" Tight and in the groove, the music moves like something out of the early 1970s Motown Records' catalog, with the three hornstrombone, trumpet and tenor saxgetting into some serious conversatin' that gives way to pianist Jim Ridl's urban sparkle on Fender Rhodes. 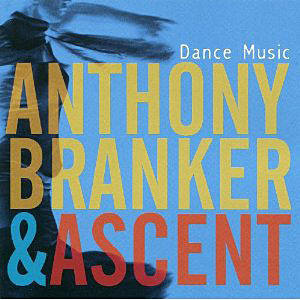 "Dance Like No One Is Watching," rides the funk rhythm of drummer Donald Edwards and bassist Kenny Davis into an intricate interweaving of horn lines leading into trombonist Andy Hunter's fluid, laidback solo that gives way to tenor saxophonist Ralph Bowen's burning turn. "Three Gifts (from a Nigerian Mother)" shifts the moods, telling the tragic story of a woman who lost three children in the 2005 Sosoliso Airlines crash, then came to embrace a deep spirituality and see her loss as gifts to God. Opening with a subdued melancholy from trumpeter Eli Asher (on flugelhorn), the music rises to an anguished cry as Bowen takes over. The majestic tune includes Charmaine Lee's soaring, wordless vocalese, paired in unison with tenor saxophone then trombone, for an eerily angelic harmony. 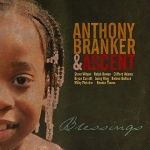 In addition to his composing and arranging skills, Branker is also very adept at sequencing a CD for maximum engagement, beginning with funk, moving into the profound, symphonic solemnity of "Three Gifts (from a Nigerian Mother)" and the angular, sharp-edged title cut, before closing with the most beautiful of tunes, "Ballad for Treyvon Martin." Martin was the seventeen year-old youth shot to death in Miami in 2012 for appearing out of place, due to his race. With a soft string backdrop, the ballad contains some of the set's most gorgeous and inspired soloing from Bowen and Ridl, ending an extraordinary set imbued with a sense of healing, and call for tolerance and understanding. Track Listing: Let's Conversate! ; Dance Like No One is Watching; Three Gifts (from a Nigerian Mother to God; Across the Divide; Uppity; Ballad for Trayvon Martin. 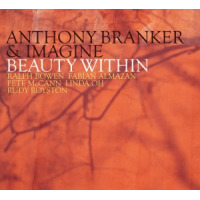 Personnel: Ralph Bowen: tenor saxophone; Andy Hunter: trombone, keyboards; Elis Asher: trumpet, flugelhorn; Jim Ridl: piano, Fender Rhodes; Donald Edwards: drums; Charmaine Lee: vocals (3); Anthony Branker: composer, musical director.